Payroll software makes it easy to calculate wages, pay employees via direct deposit and file taxes for businesses that want to manage their payroll in-house. We compared popular options and rising stars including Gusto, Paychex, and ADP. These cloud-based solutions make the most sense for small businesses due to ease of use and affordability. Which Payroll Provider Is Right for You? We evaluated top-rated online payroll software programs that are best for small businesses costing from $0 (free) to upward of $100 a month per employee, depending on extra human resources (HR) or benefits features you add. The payroll software that made our shortlist can run employee payroll, calculate federal and state taxes, manage common payroll deductions and provide employees with payment options like direct deposit. The best payroll software for small business often adds unique features that help to differentiate them from one other, such as new hire onboarding and reporting, timekeeping, interfaces to general ledger software, employee benefits, paid time off tracking, wage garnishments, workers’ compensation, and/or contractor payments. These are features that most startups and small businesses will come to need at some point. We chose Gusto as best because it is one of the easiest payroll software tools to use and manages payroll for employees as well as independent contractors. It offers many convenient features like employee self-onboarding, benefits management, automatic payroll runs, and top-rated customer service. It’s also one of the most affordable payroll options. With Gusto, your first payroll is free. Get a free 30-day trial. We recommend Gusto as the best payroll software for small business owners because it includes full HR and payroll, plus tax support at a lower cost that Intuit QuickBooks Payroll, ADP, or Paychex. You don’t have to be an HR or payroll expert to use Gusto. It’s best for any small business wanting to manage its HR and payroll processes online. The base price for Gusto is $39 per month plus $6 per month per employee or contractor. Gusto doesn’t offer an edition with more limited features. It offers only one payroll package that’s inclusive of all the features a small business needs, including tax support, 1099s, and payments. The equivalent package to Gusto’s service level from Intuit QuickBooks Payroll, which files and pays taxes on your behalf, would cost $99 per month for five employees. For Patriot Payroll, the equivalent package is $46.75 with add-on charges for some optional features like 1099s. In addition to running your payroll, Gusto files new hire reports and payroll taxes for you, so there’s no worrying about filling out forms. Comparable full-service programs like Intuit QuickBooks Payroll Full Service start at $114 per month compared to $45 per month for Gusto for its base packages and one employee. In fact, signing up with Gusto saves you from having to purchase separate HR software at $5 to $12 per month per employee. Gusto does all the basic payroll and tax compliance you would expect, such as running your payroll each pay period, calculating deductions and net pay and then processing direct deposit. In addition, it provides new hire onboarding and reports your new hires to the state. With Gusto, setup is well-organized and explained in simple terms. Setting up your payroll software can be time-consuming regardless of which solution you choose. Gusto delivers the most modern and intuitive user interface of the seven payroll software systems we recommend. Gusto guides you through a step-by-step setup during which you can live chat with Gusto’s customer support team to get immediate answers to your questions. Gusto’s live chat tool helps you through the payroll setup process. However, the most notable feature of Gusto’s setup process is that you can invite your employees to enter their personal information themselves, such as their Social Security numbers, contact information, and tax withholding preferences. This “self-onboarding” can save you significant time and effort. 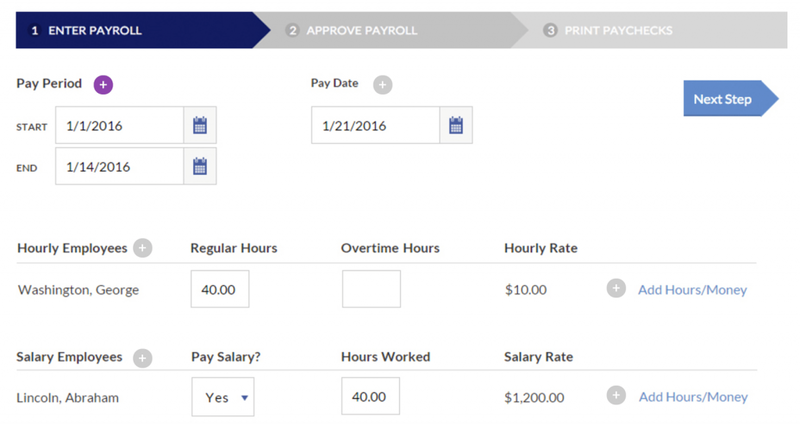 Gusto has several handy features that are designed to make payroll easier for you. Once your initial setup is complete, you can automate your payroll so that salaried employees receive their paychecks at regular intervals via direct deposit without any additional work on your end. You can also run payroll on “autopilot,” which means Gusto will process and direct deposit paychecks every regular pay period automatically. You only have to log in if pay information, such as hours worked or commissions earned, needs to be changed. 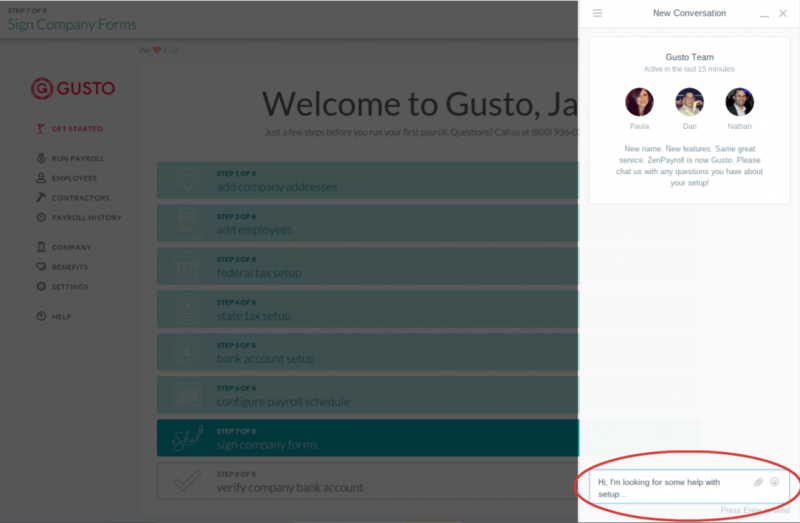 Gusto makes it easy to set up direct deposit for your employees. You can welcome new hires, have them e-sign and e-file their tax documents and send them messages directly through Gusto’s HR self-service portal. In addition, because all your employee and payroll records are maintained electronically, so you don’t need to worry about document retention or data sync errors between your HR system, benefits application, and payroll software. It’s an all-in-one solution. Gusto’s employee self-service options start with new hire onboarding. Like Intuit QuickBooks Payroll, Gusto also can manage paid time off (PTO), such as sick time or vacation days. You can allocate a number of days to each employee or accrue PTO days over time. These features aren’t available in free payroll software and cost extra with larger payroll providers like Paychex and ADP. In addition, Gusto has a built-in interface to free time and attendance software, Homebase. That ensures you track employee time worked, overtime, and leave accruals accurately. Gusto is also a growing benefits platform, so it does much more than payroll for the same base price. For example, you can purchase workers’ compensation insurance, set up 401(k) retirement plans, or create tuition savings plans directly through the program. Health benefits are now available in 24 states, and the company aims to expand nationwide as quickly as possible. In fact, Gusto provides more than health benefits. It makes it easy to purchase 401(k) retirement plans for $8 per month per employee, 529 plans (tuition savings plans) for $6 per month per employee and workers’ compensation insurance. Gusto provides a dozen standard reports such as an employee listing and payroll journal. You can customize the reports using a date range as well as group your report data by employee, state, work location or department. In addition, the reports can be exported as a PDF to share with management or as a comma-separated value (CSV) if you need to do further analysis or share data with your other small business software. Gusto offers more integrations with third-party accounting apps, such as QuickBooks, Xero, and FreshBooks than either Intuit QuickBooks Payroll and Patriot Payroll. Gusto also has integrations with third-party apps like When I Work, Homebase, Ximble, Receipt Bank, and more. 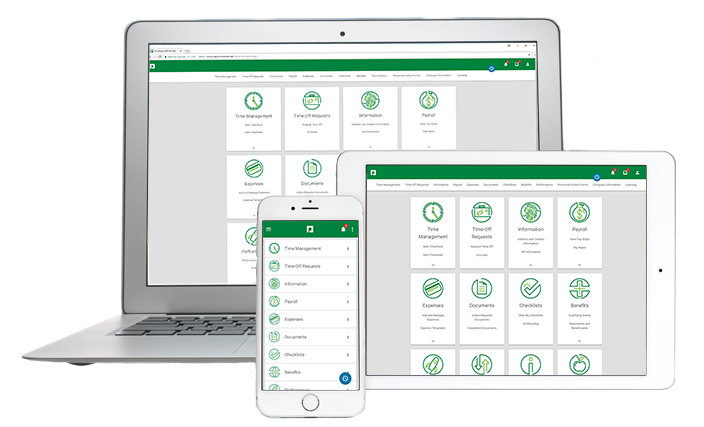 Because Gusto works seamlessly with free timekeeping software, Homebase, you don’t have to pay for a timekeeping upgrade. Homebase allows you to schedule employees and lets them shift swap. Your employees can input time through a mobile app and get time approved by managers. Then, you push those approved hours through to Gusto payroll with just one button. Gusto offers phone, live chat, and email support from 6 a.m. to 5 p.m. Pacific time Monday through Friday. Users spoke highly of the customer service which we confirmed. Although the wait time was moderate ― five to 10 minutes ― the support representative was helpful and able to answer difficult questions such as how to process retro pay. Gusto also provides a searchable support center with articles and helpful video guides. Gusto is lacking a few features that other payroll software provides. For example, it doesn’t send you automated labor law posters since the company knows you can download them for free. It also doesn’t print and mail checks to your employees since you can print checks directly from its online system. Gusto also doesn’t have a professional employer organization (PEO) option if you later decide you want to outsource your HR function. Gusto users tend to like the self-service features of Gusto, friendly onboarding options, Gusto review-automated paperwork processing and the fact that they can purchase benefits directly through Gusto, which serves as an insurance broker, rather than having to work with a third-party benefits provider. View our Gusto user review and pricing guide. Gusto provides a free 30-day trial, so you can try it out for yourself before committing to using Gusto for your payroll. You can also sign up for a demo that, unlike demos from ADP and Paychex, isn’t used to try to upsell you. Try Gusto and get your first payroll free. We recommend Intuit QuickBooks Payroll for integration with the QuickBooks accounting software, the world’s leading accounting software for small businesses. 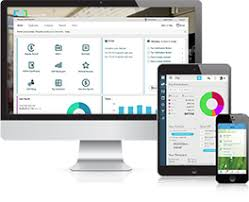 Intuit QuickBooks Payroll connects with QuickBooks very easily and can be a comfortable option for QuickBooks users. Pricewise, it’s comparable to Gusto if you use both QuickBooks and Intuit QuickBooks payroll together. In the past, we have recommended Intuit QuickBooks Payroll if you needed certain advanced features like multiple pay schedules, accruing paid time off or splitting direct deposit between multiple bank accounts. 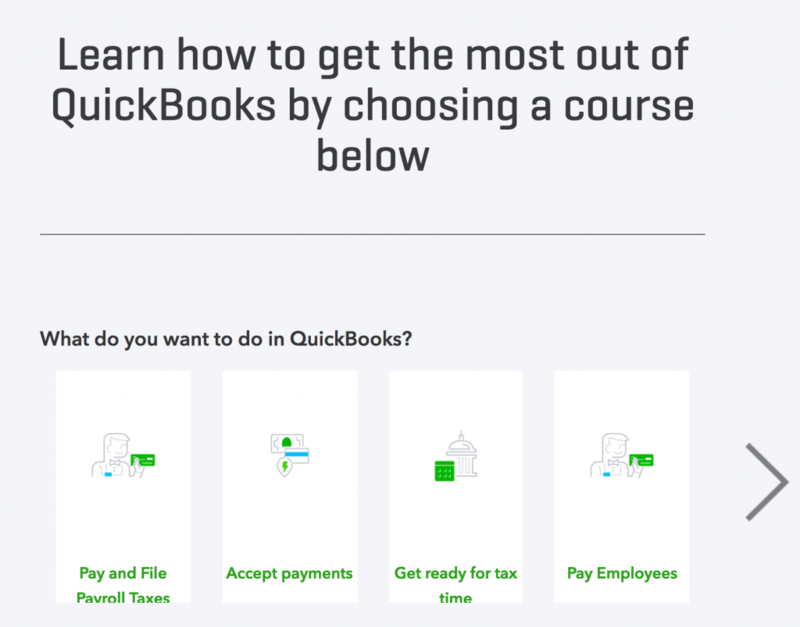 However, since Gusto now offers all of these features and is easier to set up and use, the reasons to choose Intuit QuickBooks Payroll are a bit less compelling. Intuit payroll software integrates with its QuickBooks accounting software. Intuit QuickBooks Payroll offers tiers of service grouped by whether you run your payroll yourself or have the software run it for you. Enhanced payroll packages range from $55 per month plus $4 per month per employee or contractor to $95 per month plus $4 per month per employee or contractor. Full-service payroll packages cost start at $80 per month bringing the cost on par with ADP and Paychex pricing. Bundling payroll with QuickBooks is often the best way to go — and price promotions are offered regularly. However, if you have just a few employees, Gusto is cheaper at $39 per month plus $6 per month per employee and offers much more, including employee benefits. Regardless of which package you choose, you’ll also have to pay extra to file 1099s at year end with a one-time payment of $16 per contractor. We feel that the Enhanced package of the Intuit QuickBooks Payroll group is the best value since it’s largely automated. W-2s and payroll tax forms are filled out for you ― you need to submit them yourself. However, if you want a service that will handle taxes and submit payroll automatically, then Gusto can do this for a much lower price than Intuit QuickBooks Full Service Payroll. Once set up, Intuit QuickBooks Payroll allows for a high level of customization. You can turn different features on and off depending on whether or not you use them, which helps to clean up the interface to only include those features you’ll need. Intuit QuickBooks Payroll defaults to the most commonly used features, but every business is unique. Accounting and payroll software is naturally complex, but Intuit QuickBooks Payroll layers its interface effectively to ease navigation. Tabs and icons are clearly displayed and labeled, and navigation updates dynamically to reflect the section you’re working within. Intuit QuickBooks Payroll assists you in the setup process by including a number of tutorials for each step in its comprehensive online knowledge base. If you’re already a QuickBooks user for accounting purposes, you can migrate any data over and integrate the two easily. QuickBooks offers many helpful tutorials. However, be aware that enhanced payroll doesn’t manage payroll taxes or W-2s on your behalf. Intuit QuickBooks Full Service Payroll will, but this starts at $80 per month plus $4 per month per employee. Because Gusto includes this for $39 per month plus $6 per month per employee, it is the more affordable option for smaller employers. In fact, Intuit doesn’t begin to have a pricing advantage until you get past about a dozen employees and, even then, 1099s are extra. Adding an employee to payroll in managed through a step-by-step process. Intuit QuickBooks Payroll does still have some unique features. The poster compliance service, for example, sends you copies of all the necessary federal and state labor posters for an additional $70 to $88 per year. Gusto, in comparison, provides links to government websites where you can download labor law posters for free. 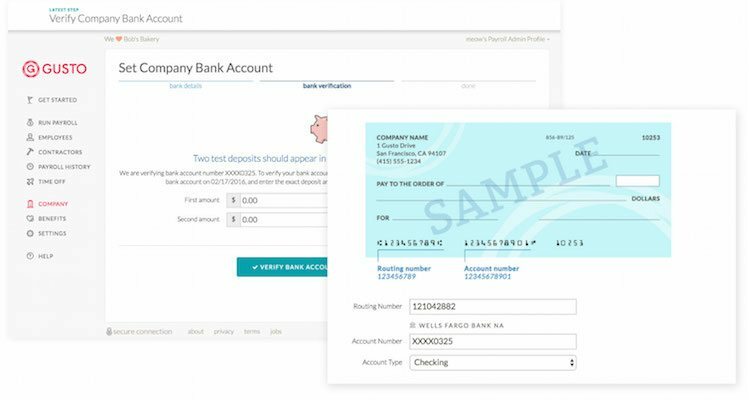 Intuit provides an employee self-service option called ViewMyPaycheck. It provides pay stubs for each pay period as well as time off balances and deductions. However, employees can’t look up benefits, 401(k) balances or update their withholding as software like Gusto or ADP allow. That means employees will need to submit their changes and requests to you, and you’ll need to ensure they’re input and addressed properly. Tracking time off and leave balances in Intuit is a fairly manual process as well. Your employees will need to provide you time off requests, and you’ll need to key them into the software before you run payroll each pay cycle. Intuit isn’t a benefits provider like Gusto is. You will need to manage your benefits through a third party for health insurance, 401(k), or any other perks you offer like commuter benefits. You’ll manually set up accounts, deduction amounts, and payments. You’ll then need to manage each account to ensure you make pay the correct benefit provider. Gusto, for example, is a benefits provider and manages all insurance, benefits, and perks through one system making it easy to manage and providing employees with one login to access all their accounts online through the self-service portal. Given its industry and accounting experience, Intuit offers nearly 30 reports that provide information on employees, contractors, leave balances, payroll, and taxes. However, unlike Gusto where you can run the report as a PDF, Intuit’s reports can only be exported to Excel. That requires you to format them to make them presentation-ready for your management team. Because Intuit QuickBooks Payroll and QuickBooks accounting both fall under the same suite of software, its general ledger to payroll integration is more seamless than Gusto’s, and efficiencies can come from your familiarity with QuickBooks. However, Intuit doesn’t offer third-party integrations outside of its own software suite. If you’re using other software or apps that you want to share payroll data with, you’ll be doing duplicate data entry or have to upload data from a spreadsheet. Intuit QuickBooks Payroll offers phone and email support available from 6 a.m. to 6 p.m. Pacific time, Monday to Friday as well as 6 a.m. to 3 p.m. Pacific time on Saturday. While it has the most extensive support hours, users reported mixed experiences with phone support. Our own experience, however, was positive. Intuit QuickBooks Payroll also has a searchable support center with FAQs, user guides and video tutorials, although we found it cumbersome to navigate. What we find missing from Intuit is a low-priced option that includes all the features like processing payroll taxes or providing payroll for 1099 contractors without upcharges. Those fees add up, especially when you have to purchase pricey time keeping options or labor law posters for an extra fee. QuickBooks users love the compatibility and customization options. Based on user reviews and our own experience, we found Gusto and Patriot Payroll to have the best customer service while Intuit QuickBooks Payroll customer service reviews are mixed. However, even loyal QuickBooks users complain about the upcharges on the payroll side and issues with payroll taxes. Check out our Intuit Payroll review for more information. Intuit offers a free trial for those who want to try its services first. You can often get discounts, especially if you purchase Intuit QuickBooks Payroll + QuickBooks together at the same time. Add payroll to your QuickBooks account. If you want to put in some effort, Patriot Software is inexpensive and can get your payroll done. Patriot is for businesses that would like a more affordable option and don’t mind a bit more manual work. Starting at $10 per month, you can run payroll just as you can with Intuit QuickBooks Payroll or Gusto, but you won’t have the HR functions like onboarding, electronic signature, and online document storage. Patriot payroll is generally the least expensive payroll option at $10 per month plus $4 per month per employee or contractor compared to Gusto at $39 per month plus $6 per month per employee or contractor and Intuit QuickBooks Payroll at $55 per month plus $4 per month per employee or contractor. For an additional fee of $5 per month, you can add time-tracking features to replace your existing time clock. That’s compared to free Homebase timekeeping software you can use with Gusto. Patriot also offers HR software for an additional $4 per month plus $1 per month for each employee. However, the HR software add-on basically functions as electronic file storage for you — something Gusto provides for free. Calling it HR software is a bit of a misnomer, in our opinion, particularly when compared to actual HR software. Patriot doesn’t charge extra for payroll runs like ADP and Paychex. In that way, it’s more similar to Gusto and Intuit. Similar to the other payroll software options, Patriot software will run your payroll. It’ll even complete the tax forms, but it won’t file them for you. It doesn’t integrate with any third-party applications, which means that you’ll be doing duplicate data entry if you want the data from your payroll to feed into your general ledger, time clock or tax software. Services like paying contractors also cost extra. Setting up Patriot software is easier than with ADP or Paychex but a little more difficult than Gusto. You can get help over the phone or via live chat and can even email your data to Patriot‘s payroll support team and have it import it manually into your new payroll account. However, it can still be time-consuming as it requires a number of steps up front, such as entering the payment history for each of your employees and finding your company’s unemployment insurance tax rate. Free setup with Patriot payroll. Patriot payroll doesn’t have nearly the same user-friendliness nor does it offer benefits, accrued vacation time or running payroll on autopilot, among other features. Once Patriot payroll is set up and operational, navigating the software can be somewhat cumbersome due to its dated user interface. This is an area where Gusto excels; even Intuit QuickBooks Payroll is an improvement on Patriot Software. However, Patriot makes it easy for employees to use, by providing a self-service option that lets your employees view their paystubs online. Patriot software does offer comprehensive customer support, including the option to send it your company’s data for its customer support to enter for you. Enter, approve and print paychecks using Patriot software. Patriot Software operates a bit like an a la carte service meaning you can pick and choose add-ons to customize the software to your specific needs. This includes time and attendance tracking, accounting, HR tools and more. Unfortunately, we found them all to cost extra and be quite basic. For example, attendance tracking can’t accrue paid time off nor can it “communicate” with the payroll tab. When you mark vacation days on payroll, it won’t subtract them on the attendance tab. In our opinion, payroll is the best part of Patriot software and is the only feature worth spending money on. Patriot provides an employee portal it refers to as MYPatriot that allows employees to look up and edit their information online. For example, they can view and print pay stubs, and change their withholding or bank account information. If you add on HR features like an employee handbook, you can share those documents electronically as well. Patriot allows you to set up and manage employee time off manually, or by inputting information in your timekeeping system and sending that data through to Patriot payroll. However, once you have finished payroll processing, you’re unable to make changes or edits to the timecard, such as changing a paid vacation day to a sick day off. Patriot software doesn’t offer benefits through its payroll platform. You’d need to work with a third-party benefits provider if you want to offer health insurance, a 401(k) or other employee perks. Once you determine what benefits to offer, Patriot can manage the payroll deductions. However, you’ll need to manage enrollment information, benefits provider payments and all related documentation yourself. Patriot offers about the same number of standard reports as Gusto does. However, some are only available to its full-service customers, like reports on tax deposits and tax filings. Those are reports other payroll providers include. In addition, if you need 1099 reporting, you’ll have to add on Patriot’s 1099-software, which is a separate software system altogether. This is an area where Patriot, like Intuit Payroll, falls short. There’s no general ledger or timekeeping interface unless you pay to use the one provided through the software. That means you’ll likely need to manually re-enter data into your accounting system each time you run payroll. Patriot payroll offers customer support via phone, live chat, and email support. They’re available from 8 a.m. to 8 p.m. Eastern time Monday to Friday. There’s a searchable help center with articles and videos, although help videos are also embedded into each menu with a small icon; we found these much more useful when you’re not clear on a task. In addition to missing software integrations and having an upcharge for your contract employees, the main downside to Patriot payroll is the lack of tax support — Patriot payroll will calculate your federal and state tax liabilities, but you’ll need to file and pay these yourself, similar to Intuit. If you want Patriot to do it for you, that’s another upgrade. There’s also no option to purchase employee benefits. 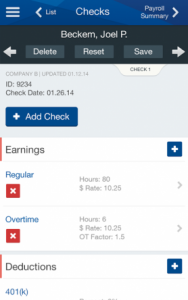 Curiously, Patriot is one of the few payroll software tools not to offer a mobile app. Patriot users like the ease of setup, and those who upgrade to the tax services like those benefits. Users rated the support team highly, and we experienced very short wait times first-hand. However, some complain about upcharges and price increases. Others don’t appreciate that direct deposit is outsourced to a third party, causing a kerfuffle when you have to track down issues. Read more in our Patriot payroll software review. Patriot is the lowest cost of our best payroll services, and it often offers free trials of 30 days or longer, so you can see if it has all the basic features you need before you sign up. Go to Patriot’s website. Payroll4Free.com offers basic payroll processing features including both W-2 employee and 1099 contractor payments. It provides direct deposit, tax reporting and an online self-service portal. Best of all, it’s totally free for businesses with 25 or fewer employees who print their own paychecks and file their own taxes. Therefore, we recommend Payroll4Free.com as best for smaller employers that need free payroll software and don’t plan to offer benefits. If you have fewer than 25 employees, it’s always free with solid payroll features included. However, if you want tax filing options, it has a paid package that costs $12.50 per month. If you want to add direct deposit instead of printing payroll checks for your employees, that’s another $12.50 per month. That means the most you’ll ever pay with Payroll4Free.com is $25 per month. That’s more expensive than Patriot at $10 per month but less than Gusto at $45. For a free package, Payroll4Free.com offers some nice features, including payroll reports, the ability to import data from your time clock and option to interface with your general ledger program like QuickBooks. It also has leave-tracking features so you can keep track of time off balances. Payroll4Free.com can track your employees’ time off. However, if you want your employees to have direct deposit, that’s an upcharge as is tax filing. While Payroll4Free.com can manage benefits deductions, like a 401(k) or health insurance, you’ll have to enter these deductions manually as they won’t be processed automatically and paid to the benefits provider like they would with Gusto or ADP. That means that once you get to 50 FTE employees, your free payroll software will start to require extensive data-maintenance to keep benefits offerings, deductions, payments and mandatory reporting in sync. Therefore, we find Payroll4Free.com best only for the smallest of employers, such as those with fewer than 25 employees who don’t offer benefits. Payroll4Free.com offers a guided setup tool, but don’t be fooled. You’ll be doing a lot of data entry, which means there’s room for errors like mistakes in Social Security numbers, misspelling of people’s names and incorrect pay rates. Be sure to double-check your work. Due to the manual data entry and potential for errors, we don’t recommend switching over mid-year. Once your employees are set up in Payroll4Free.com data entry is also a bit old-fashioned. You fill in the fields you want to use. Fortunately, it provides a how-to video on YouTube for new user setup. Payroll processing with Payroll4Free.com is a hands-on manual activity as well. In fact, Payroll4Free.com software works a lot like a big data spreadsheet flat-file database where employee data shows up in editable lists you use to manage pay rates, deductions and taxes. 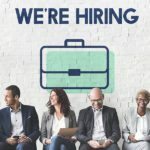 Payroll4Free.com offers an employee portal, but it is fairly limited. Employees can view their pay stubs, tax forms and leave balances, as well as make personal information changes. But it’s not like Gusto’s or ADPs employee dashboard that allows users to view their benefits enrollment or 401(k) balances for example. Payroll4Free.com lets you set up PTO and sick leave accruals. However, when it comes time for workers to use their paid time off, you’ll need to key that data in by hand unless you set up a time clock integration. Payroll4Free.com processes employee benefits in the same way as Intuit, Patriot, and Paycom. That means that if you do all the legwork ― from finding the vendor to enrolling your employees. Then, Payroll4Free.com can manage the deductions from the employee’s paycheck. Unlike Gusto and ADP ― it doesn’t offer, sell, or manage benefits like health insurance as part of its payroll software. Payroll4Free.com integrates with timekeeping software as well as general ledger software as files can be uploaded and shared using the comma-separated values (CSV) format. There are no pre-built or standard software interfaces. Payroll4Free.com provides basic payroll reports on employee earnings, taxes, time off accruals and payroll. You can also export data in a CSV format. Payroll4Free.com provides a phone number, but when we called at 4:30 Pacific time, it went to voicemail, and we didn’t receive a call back even the next day. You can email the company or send it a request from its website. Its hours are 8:30 a.m. to 5 p.m. Central time from Monday to Friday. Payroll4Free.com can’t offer benefits packages and HR onboarding options like Gusto. But if all you want is a no-cost, bare-bones payroll system, it’s got the basics as long as you don’t mind doing a little of the work, such as data entry of time worked each pay period and filing payroll taxes yourself. Some users find that the Payroll4Free.com interface isn’t very intuitive but counter that the staff at Payroll4Free.com are very helpful. Payroll4Free.com pays for its service with banner ads that most seemed not to mind. Overall, there are few online reviews, even on our Payroll4Free.com review page. 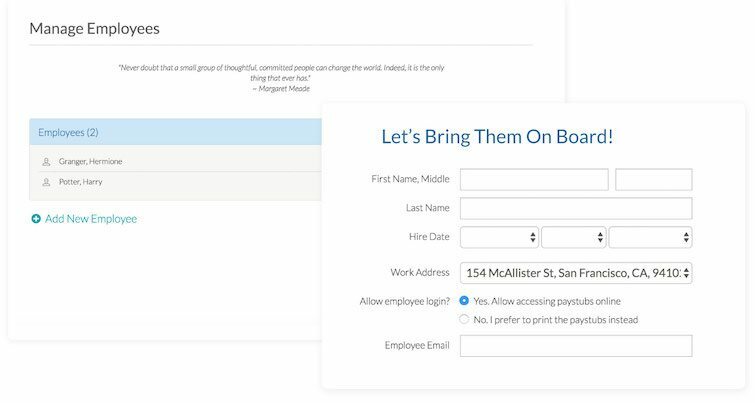 To get Payroll4Free.com, you have to fill out a request from its website, which has content like testimonials that haven’t been updated since 2014. In that sense, it’s not as easy to sign up as other payroll software that provides direct sales contact information. Check out Payroll4Free.com. ADP is best if you need custom features and reporting and don’t mind paying extra for that. Those who have used ADP at another business or are upgrading from another ADP product might consider paying for ADP RUN to avoid a learning curve. And, you’ll be working with the industry leader in payroll processing and payroll reporting. However, you’ll be paying double of what you’d pay with Gusto or Intuit Payroll software. ADP RUN is not priced as competitively as many of the other options we’ve covered. However, it offers brand recognition and features that support the largest of businesses. ADP RUN is the best ADP package for small businesses and ranges from about $20 to $200 per month per employee depending on how many employees you have and how often you run payroll. In general, however, we found ADP RUN to cost more than double what other payroll providers did. Therefore, it’s best to know what you want in advance before talking to its sales team, so that it doesn’t try to upsell you on services you don’t need. When we contacted ADP for pricing information, we received two quotes. One was for $4,062 per year for 25 employees running an every other week payroll, plus a $200 setup fee, which most of the other payroll providers don’t have. In another quote, we received a price for 10 employees at $102 per pay period with a $25 setup fee. In other words, ADPs prices aren’t transparent or even consistent. However, it’ll possibly offer you discounts, including waiving the setup fee. There’s also a setup fee if you add garnishments, and many of the features are only available at an upcharge. ADP has all the features a large business would need. It runs payroll, calculates taxes, manages payroll deductions, provides direct deposit and much more. In fact, it may be too feature-rich, complex and pricey for most smaller business. That’s especially true when software providers like Gusto, Intuit and Patriot offer many of these features at much lower prices and price by the number of active employees you have each month rather than by payroll run. 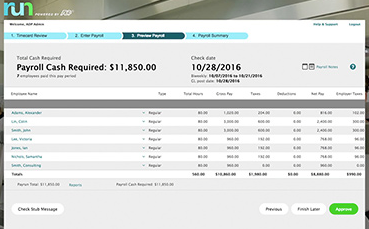 ADP provides multiple options for payroll processing. ADP has other service options, including a top-rated PEO called ADP TotalSource, if you find you want to go that route in the future. ADP RUN will assist you in your setup, based on your payment of a setup fee. However, you’ll need to provide the data, and its team is distributed. It may take days to weeks to get your payroll up and running with ADP after sending data files back and forth and verifying the setup. Once your data is online, using ADP is simplified by icons, but still somewhat complex due to features that support much larger employers. ADP RUN’s icons make it user-friendly. 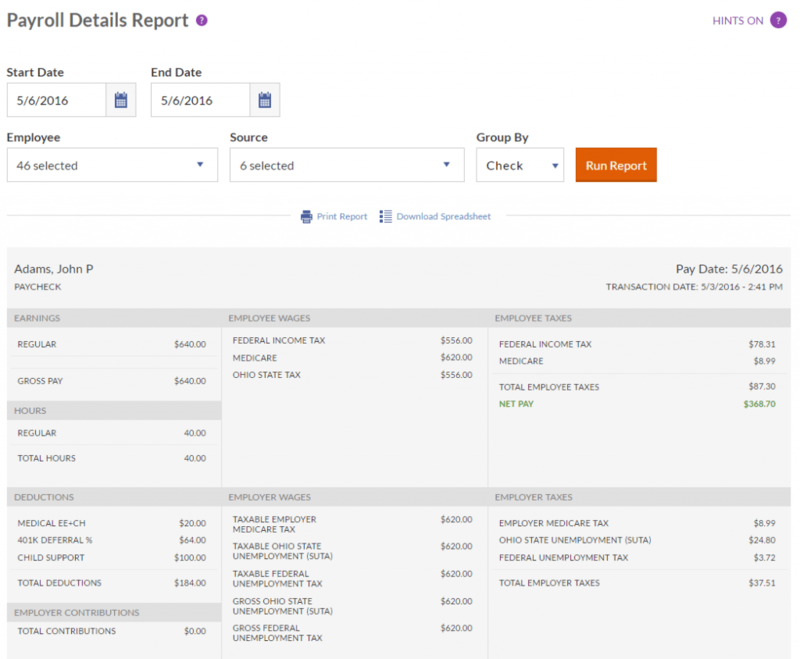 Once you’re up and running, the interface is intuitive with icons and help options to assist you in running payroll. You can even add to do lists and reminder messages, such as to process a bonus for members of a project team. Like other payroll software, you run payroll in a multi-step process that allows you to verify your data before finalizing. 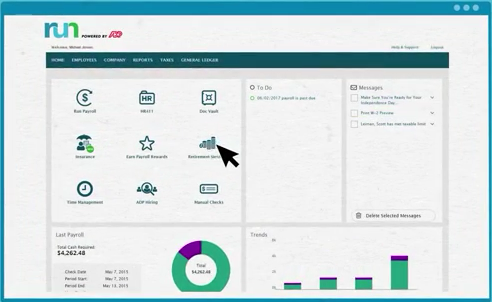 ADP RUN provides employees with a self-service portal called MyADP and a free downloadable app. It allows workers to make changes related to life events ― such as marriage, new child, new address ― in addition to viewing pay stubs and W-2s. 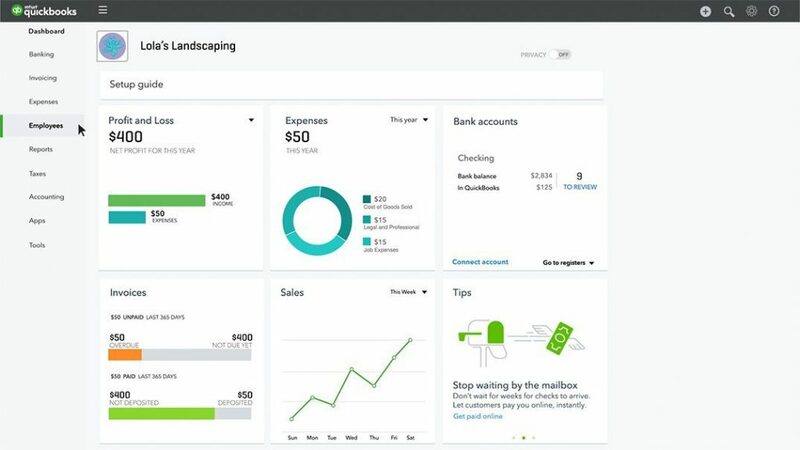 Like Gusto, employees can use the self-service portal to manage their 401(k) accounts or change their direct deposit information, making it a one-stop shop for your employees. ADP can manage paid time off and sick leave policies. It offers the advantage of having dedicated professionals who monitor state and federal laws to ensure your leave programs, including paid sick leave, are compliant with state law. In fact, ADP has articles and training programs to help employers set up their leave policies correctly. Similar to Gusto, ADP offers its own insurance programs through ADP Insurance Agency (ADPIA) in about 18 states. It can provide health, dental, vision, life and disability insurance for your employees. Otherwise, you can work with your own insurance provider, and ADP can help you set up and manage the deductions and payments. ADPIA also offers business insurance for you, including workers’ compensation, business owner’s policy (BOP), commercial auto, disability and certificates of insurance to name a few. ADP Run offers too many reports to mention. It includes payroll reports, tax reports, benefits reports, garnishments, employee birthdays and custom reporting to name a few. You can filter your report data by year pay period or employee. In addition, report data can be printed or exported to Excel. Like most of the larger payroll software providers, ADP has interfaces to most general ledger software like QuickBooks and Xero. It interfaces with timekeeping systems as well as with benefits providers and banks. You can also output a generic file for use when sharing data with third-party providers. ADP provides customer support online by submitting a request and by phone as well as FAQs that answer most payroll administrator and employee questions. It’s also active on social media. Its payroll center is open every day of the year. That’s an advantage for businesses that operate 24/7. From a small business perspective, the huge price tag is the biggest downside of using ADP. That’s why we provide side-by-side comparative pricing information in our article on six ADP competitors at half the price. Still, if ADP is what you’re used to and you don’t mind paying for such feature-rich software, it may be worth it to stick with ADP and avoid a learning curve with a new payroll vendor. 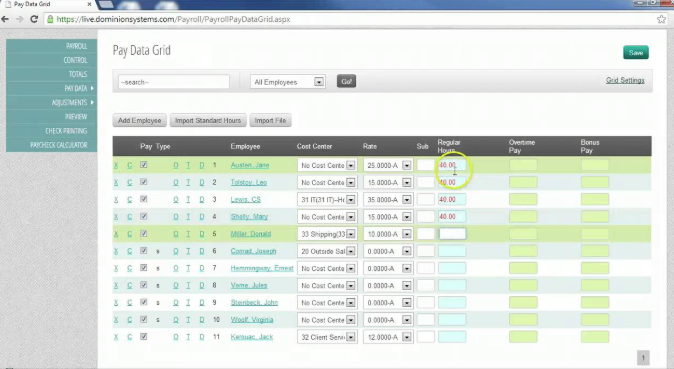 ADP RUN users like the system and its payroll features. What they tend not to like is dealing with a large corporation where it sometimes takes too much time and several phone calls to get issues resolved. They also claim that the initial setup is slow and error corrections take time and often cost extra. For more details, read our ADP RUN Payroll review. ADP is the top brand in payroll processing software and services, albeit not at the best price point. If you’re looking to work with ADP based on its industry name, you can contact its sales team from ADPs website. Request a quote today. Similar to ADP, prior Paychex users might find it easier to use Paychex than learn a new system. Otherwise, it’s very similar to ADP in terms of functionality and has better customer service ratings. It costs only slightly more than ADP and its competitors when you factor in the optional features that come free with small business payroll software providers like Gusto. In addition, similar to ADP, Paychex offers tiers of service for multiple sizes of businesses. Like ADP, Paychex also has a PEO service for those small business owners who want to outsource all people aspects of their business, including HR, benefits and, labor law compliance. In general, pricing with Paychex is even higher than pricing with ADP, making it the costliest of all the payroll software options. Its Paychex Flex prices ranged from $77 to $123 per pay period for 10 employees, and it charges additional for year-end tax documents. It also requires a $200 setup fee, which it was willing to waive if we signed up right away. It’s worth noting that pricing for both ADP and Paychex are based on an old-fashioned model of pricing by payroll run. That means those businesses in the service and retail industry that run weekly payrolls will pay two to four times more with ADP than office-type businesses that pay semi-monthly or monthly. Paychex has the same payroll functions as the other software we’ve covered. What sets it apart is the ability to run your payroll from a mobile device. In addition to the standard payroll processes, Paychex can process garnishments and provide you with hundreds of customized reports. It also provides online employee self-service and labor posters. However, upgrades are required if you want these features or want to add workers’ compensation or unemployment insurance. Since Paychex charges for its set up, it stands to reason you’d get some help in setting up your business payroll with the provider. Nonetheless, you’ll be required to provide all the basic data including employee tax information, benefits deductions and business accounts. Being a larger company like ADP, your payroll setup will require you to answer many questions, gather existing data and may take a few weeks. Once set up, its user interface is a bit more menu-driven than either Gusto or ADP. 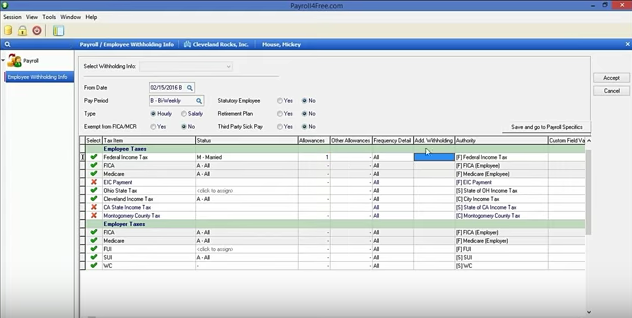 Once your payroll is set up with Paychex, the software is menu driven with icons and scroll bars. It crams a lot onto each screen. There’s a bit of a learning curve to this software as compared to payroll software that’s more intuitive like Gusto. Payroll data entry is done in a database style with rows and columns. 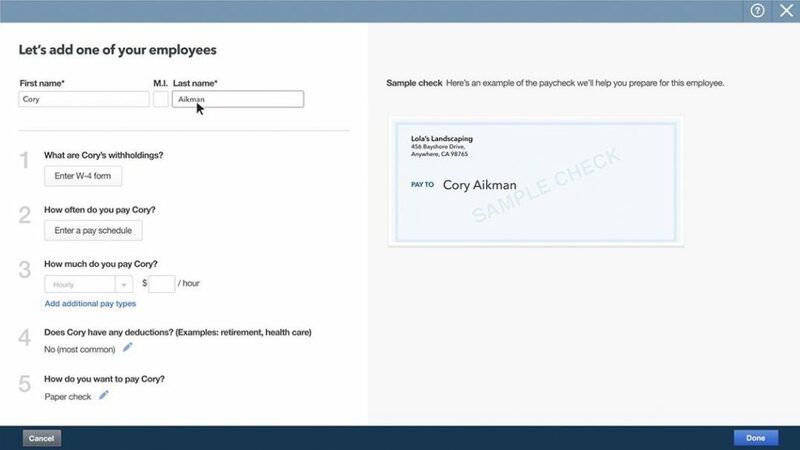 Paychex flex data entry for payroll processing. You begin running payroll, enter data and then review your data entry before submitting your payroll for processing. One advantage Paychex offers over Gusto is that it provides same-day ACH payments. Gusto in comparison may take 2-4 days depending on your bank and account set up. Paychex Flex has a mobile app that makes it easy for employees to look at payroll, benefits and time off data from their mobile phone. That’s an example of a tool that can make your life easier as employees no longer need to contact you as often for basic information. Paychex Flex can make managing PTO and time off requests easier by adding on their time and attendance solution at additional cost. Otherwise, the payroll software can keep track of leave programs and accruals, but you’ll need to manage time off requests and tracking manually. Paychex offers an employee benefits service that can assist you in finding health insurance and other benefits for your employees. Once you choose the benefit providers you want to work with, it’ll help you integrate those vendors into the payroll software, making it a bit easier than managing benefits through a third party website. However, unlike Gusto and ADP, Paychex is not a licensed insurance broker. 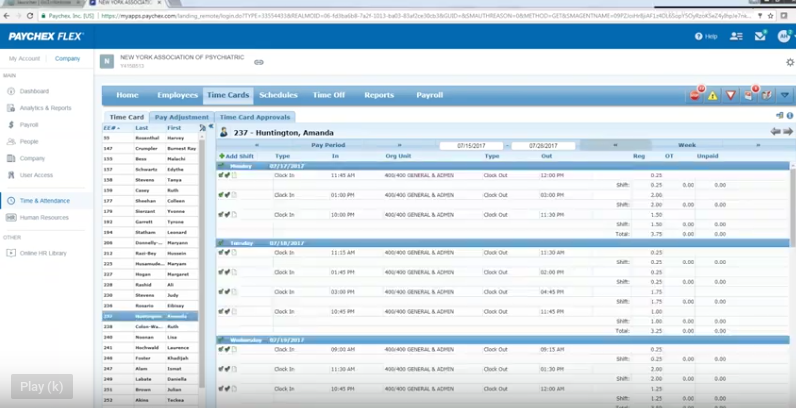 Paychex Flex is a bit more like ADP in that it provides more than 100 reports on-demand. You can also choose specific parameters to customize your reports and data exports. Like ADP, one of the benefits of working with a top-brand payroll provider like Paychex is it has been doing this for a while and have integrations into many software packages like Ximble, Humanity, Intacct Now and Xero. It also has an open application programming interface (API) program for software developers to build interfaces with Paychex. Paychex provides customer service from 8 a.m. to 8 p.m. Monday to Friday via phone at one of its many local branches or online via email or chat. It also provides help solutions online for everything from problems logging in to answering employee questions. 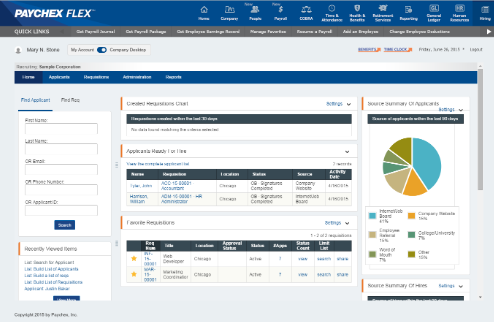 Given that Paychex’ price point is on the higher end, the interface is a bit antiquated and not as well-designed as some of the newer software providers like Gusto. Otherwise, like ADP, Paychex has a lot of complexity to it and may feel overwhelming to a smaller business. In general, what users like best about Paychex is the accuracy of its payroll and the support they get from the Paychex team. What they don’t appreciate are the pushy sales folks and the inconsistency in the quality of its payroll representatives — some good, others not very experienced. For more information, check out our Paychex review. Business owners that want a quote can go to the Paychex website. After completing a short survey, they’ll be able to get a price quote unique to their payment frequency company size and desired features. Request your quote online. Paycom is best for businesses looking to add features such as expense reimbursement, in addition to payroll. That’s because these additional tools are built into its payroll app. Paycom is HR information system (HRIS) software that includes payroll processing. It provides human capital management features above what payroll software alone offers, including recruiting tools, expense reporting, and performance management as examples. Unlike Gusto and Patriot, Paycom doesn’t provide pricing online. Payroll experts I talked to suggested the pricing may range from $7 to $17 per month, per employee or about $100 per month for our comparison group of 10 employees with an every-other-week payroll cycle. However, that price would likely include payroll only, not the extras like recruitment or performance management. Paycom provides all the basic payroll processing features such as managing employee earnings, deductions, and taxes. It does so with software that maintains all employee data in one system and allows the various add-on modules to access that data. Paycom can manage employee expense reporting and deductions such as garnishments, all in one system. Like most software as a service (SaaS), Paycom can be run on multiple devices. Paycom is set up similar to ADP and Paychex, in that you’ll work with a client support representative, and it’ll configure the system for you. However, due to the feature rich-application and relational database design, Paycom lacks some of the user-friendly features that newer SaaS like Gusto offer. Paycom pay data grid for inputting hours worked. Paycom gives you the ability to customize your pay cycles and run validation reports prior to processing payroll. You can also set up multiple user account types, such as managers who input or approve time and your payroll manager to run payroll. Paycom offers a check-clearing process as part of payroll that eliminates your need to manage payroll check reconciliation. 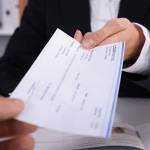 Paychecks are written on Paycom’s account, and you, in turn, pay the total amount of payroll without having to worry about tracking individual checks. 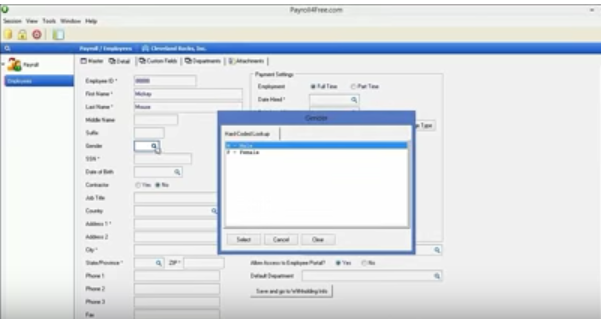 Payroll processing setup on Paycom. Paycom provides your employees with the ability to view their pay stubs and tax forms online. They can also check their time off balances and update their personal information like their direct-deposit account or mailing address. What Paycom offers that other payroll providers don’t is that employees can manage their expenses online as well ― submitting expense reimbursement requests via smartphone. Paycom helps your employees track their work-mileage as well as set up expense types and reimbursement rules. Using the self-service app, they can upload their receipts for automatic payroll reimbursements. You as a business owner, receive various reports to manage transactions and approvals. You can even audit employee expenses to determine who approved each reimbursement. Similar to Paychex, to get the full leave management features, you’ll need to invest in its add-on solution for time and labor management. That provides time-tracking tools to streamline time off requests as well as reports to help you manage labor costs. Paycom, like Payroll4Free.com and Patriot, can process benefits deductions, but they don’t sell insurance or help you obtain health benefits or other kinds of employee perks. That’s one reason growing businesses choose payroll companies like Gusto or ADP, instead. It saves them from having to negotiate with vendors, enroll participants and manage provider payments manually. Paycom added a feature it refers to as push-reporting. It allows you to customize and schedule reports to be delivered on any timeframe you desire. For example, you may want to run payroll reports weekly, time off reports monthly, employee reports quarterly and so forth. In addition, those reports can be provided as PDF, CSV or Excel files. Paycom uses API software to provide integrations to scheduling software and POS systems. It doesn’t provide a list of software integrations or vendor partners online. Therefore, you’ll need to talk with the provider about the other business software you use to determine whether Paycom can sync with your existing data systems. Paycom provides top-notch customer service in the form of a dedicated payroll specialist. That’s different than software providers like ADP and Payflex that will send you to a call center. It has dozens of offices across the US to respond to your payroll needs during local business hours, typically 8 a.m. to 5 p.m.
Paycom isn’t nearly as intuitive to use as some of the larger payroll providers like ADP or newer payroll software for small business, like Gusto. In fact, you’ll likely need training on how to use Paycom if you’re not a payroll expert to start with. In addition, the reports, while robust, are difficult to configure and use. Business users on third-party websites rank Paycom about four out of five stars. Some complain that the features aren’t user-friendly. However, most of the reviewers were from companies with 51-200 employees that employ a full-time payroll manager. We don’t currently have our own review of Paycom software, but we hope to add that soon. Unlike Gusto, where you can sign up for a free trial, to sign up for Paycom you need to set up a meeting and share your business needs. If you’re solely looking for a payroll solution, be clear about that up front. Otherwise, it’ll likely to encourage you to add on features that your small business may not yet need, such as talent acquisition and performance management. Request your meeting today. After looking at payroll software options including free payroll software, you might decide that you don’t want to manage your own payroll after all, or that you want to upgrade to an all-in-one service. Payroll outsourcing is when a payroll professional manages payroll for multiple clients. They’ll typically use software like the ones above that has options for employee self-service and direct deposit. However, they’ll charge a bit more to manage the payroll process on your behalf. For more information, read our article on payroll services which goes into more detail on each of these. Some small businesses prefer to eliminate as much payroll and HR liability as possible. Professional employer organizations (PEOs) meet that need by managing most of the employment aspects of your business so that you can focus on sales, marketing, and customer service. A PEO is best for those who prefer working with a co-employer for full-service HR. Here are the PEOs we recommended for small business. A human resource information system (HRIS), also referred to as HRMS or human capital management software is an all-in-one HR software tool that manages HR compliance and typically includes payroll processing. It generally costs more than simple payroll software but adds value with additional built-in modules such as recruiting, expense reporting, timekeeping or compliance training. To learn more, read our article about HRIS. Many small businesses outsource their bookkeeping. Often the bookkeeper managing your accounting files can do your payroll as well. However, you’ll want to be sure that your bookkeeper understands HR labor law compliance in all states that you do business in. Additionally, they’ll need to stay up to date on payroll tax filings, including local taxes if employees work in counties that levy them. Here are tips on how to find a bookkeeper. Payroll software helps to make what would otherwise be a time-consuming and complicated process more efficient and economical. It also helps you avoid compliance risks and fines. This article shows there are plenty of good competitors to well-known payroll providers like ADP. Based on our reviews, and the needs of start-ups and small business owners, Gusto offers the best combination of features by automating as many of the processes as possible at a competitive price. You don’t have to be a payroll expert to use it. For these reasons, Gusto is our recommendation for the best small business payroll software for 2019. Try Gusto for free. Hello, everything is going fine here and of course every one is sharing facts, that’s actually good, keep up writing. You can subscribe by scrolling down on the home page to the bottom. Sign up and we’ll send you weekly updates! I also use QuickBooks (for accounting, not payroll), and the prices offered to me every few months or so to add payroll as an add-on are likewise the same as quoted in this article, so I find nothing non-trustworthy here. I assume the author does indeed receive an affiliate commission for each of these products, but that’s no reason to automatically not trust the facts and opinions presented, merely to double check the article to see if true value is offered to us, the readers – and for my part, I appreciate having this information gathered together into one article, even though this author’s opinion and preference for one of the products is certainly made clear. Just wanted to weigh in to share that my experience (with prices) matches exactly what this author has stated. Gusto does have other pricing plans for larger companies however that need additional features. And sometimes to do price comparisons, we compare different software for a fixed number of users, say 10 users or 25 users as examples. Perhaps you navigated to a different pricing page? I am happy to look into this further if you can provide additional information. Thank you for sharing your concerns. It is a bias report that Gusto is the best of all. The fact is Gusto does not even have a phone number to contact. The only San Francisco address shown on their website does not exist. Could company $ be taken and employee confidential information be used for other purpose? Im looking into getting set up with a payroll company and have researching the bejesus out of them. I don’t feel that your “review” of these is fair, because you are taking the “do it yourself” version of Patriots software and pitting it against, full service options from the other companies. Of course the features will be lacking. Why don’t you do a fair comparison with Patriots “full service” option with these other companies, and mention that they have a cheaper verison for those that want to “do it themselves?” That would be a fair comparson. I also feel that your assessment of Patriots pricing on the full service vs the pricing of Gusto is overly dramatized. “(There is a full tax service available as an upgrade, but it’s only a little cheaper than Gusto, which is better software and gives you a lot more tools. )” A little cheaper? $15/month difference ($39-$25) is 36% cheaper. I don’t know anyone who wouldn’t like 36% savings, whether you are buying a house, car, groceries, gas, or even payroll services. That is considerable over time. I feel like this review was done with so much bias, that I am writing this, and have the hunch that you are probably getting some form of compensation from Gusto. Sorry I have to point it out. Patriot’s full service package is covered under “pricing” and other areas throughout this guide. The reason we focus primarily on the DIY package because it’s, in our opinion, one of the best services you can get in that price range. Full service payroll is a more competitive, with more and more businesses offering this lately (e.g. Xero, Zenefits, Square). The reason Gusto stands out is because of the ways they go above and beyond — self-service benefits for your employees incl. health insurance, retirement funds, PTO tracking w/ accruals, running payroll on autopilot, etc. While all of this does come at a bigger price tag, in our estimation, the benefits can easily outweigh the extra costs. If you are looking for a more bare bones solution that can handle full service payroll, Patriot is one option. However, I would also recommend looking at Xero, Zenefits and Square, which we cover in more detail here.